A global communications campaign, titled “Malaysia: Bouncing Back even Better than Before”, was launched on 25 September, 2018 to help communicate to the world Malaysia’s determination to put the country back on track and move forward again after its historic General Election victory four months ago. This new Malaysian image-improving multimedia campaign was launched first on social media over the past weekend, to be followed on international television early this week and print starting with a full-page ad in The New York Times this Friday the 28th of September when the Prime Minister delivers his UN General Assembly address in New York. The campaign is also being timed to coincide with the Prime Minister’s upcoming visits to other European and Asian countries before the year-end. This campaign will cover TV, Print and Social Media in Europe, the Middle East, Asia, South Asia and the USA. 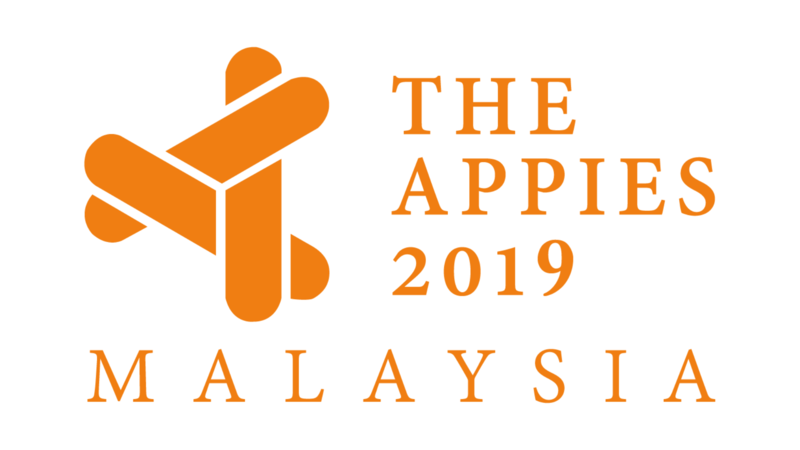 It is targeted to run for a solid three months following Prime Minister Tun Dr Mahathir Mohamad’s initial visits to Japan and Indonesia, and his first visit to China and prior to his subsequent attendance of the UN General Assembly’s opening this week. For television, the international campaign will run worldwide on Bloomberg and CNN International and USA. For print, it will run in The Economist, Fortune, The New York Times, Nikkei Shimbun, China’s Economic Observer and Time USA. And for social media, the campaign will be on eSimon, Facebook, Instagram, LinkedIn and YouTube. 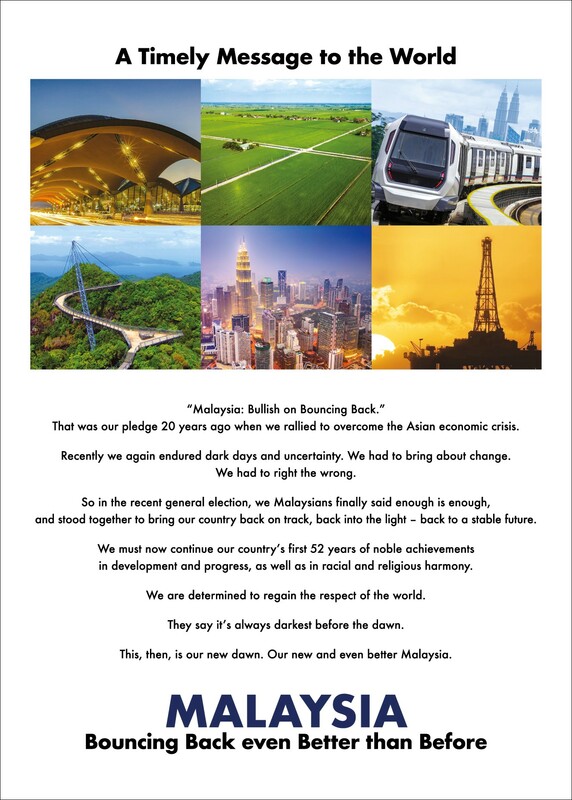 The creation and production of this campaign is being provided pro-bono by the ISC Innovators agency, the same group that also produced on a pro-bono basis the successful economic confidence-restoring campaign called “Malaysia: Bullish on Bouncing Back” during the 1997-98 Asian Economic Crisis. As was done also 20 years ago for “Malaysia: Bullish on Bouncing Back”, the media cost for this new image-improving international campaign is being borne by the sponsors for a total of MYR12 million. A handful of Malaysian private corporations – led by Berjaya, Naza and U Mobile – are sponsoring this global campaign. “You have to be a hermit to miss the New Malaysia’s message to the world,” said one of the campaign’s main sponsors, as the campaign is being shown to world leaders, captains of industries, business leaders, potential foreign direct investors (FDIs), relevant influencers as well as the media and general public around the world.